Ginger Snaps is the story of Ginger and Brigitte Fitzgerald, two late-blooming misfits discontent with their meaningless lives in the mindless suburban town of Bailey Downs. 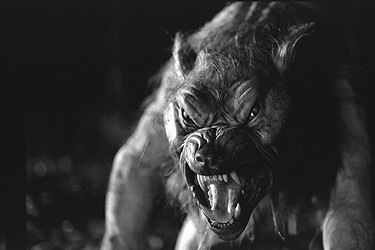 On the night of Ginger`s first period, she is savagely attacked by a wild creature known as The Beast of Bailey Downs. Ginger miraculously survives but her body begins to change – as her scars heal they begin to grow hair and she becomes a sexually aggressive young woman with a blood lust. Her sister takes on the role of protector and turns to the neighbourhood pot dealer and an amateur botanist, Sam, for help. Together they try to find a cure for the infection pulsing through Ginger`s veins. Ginger Snaps premiered at the 2000 Toronto International Film Festival. Also see: John Fawcett and Karen Walton talk about Ginger Snaps.